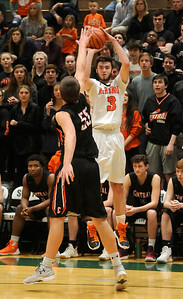 Gregory Shaver for Shaw Media MCHenery's Gavine Charles Markgraff shoots the ball over Crystal Lake Central's Alex Timmerman during the first quarter of a IHSA Class 4A boys basketball regional semifinal game Wednesday evening, Feb. 28, 2018, at Crystal Lake South High School . 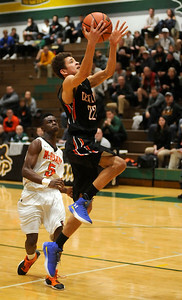 Gregory Shaver for Shaw Media MCHenery's Maki Mohr, right, has his shot blocked by Crystal Lake Central's Evan Cassell, center, as Crystal Lake Central's Deonta Dungey, left prepares to rebound the ball \during the second quarter of a IHSA Class 4A boys basketball regional semifinal game Wednesday evening, Feb. 28, 2018, at Crystal Lake South High School . 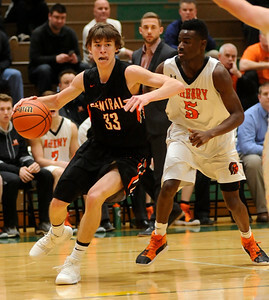 Gregory Shaver for Shaw Media MCHenery's Patrick Breisch passes the ball to a teammate during the second quarter of a IHSA Class 4A boys basketball regional semifinal game against Crystal Lake Central Wednesday evening, Feb. 28, 2018, at Crystal Lake South High School . 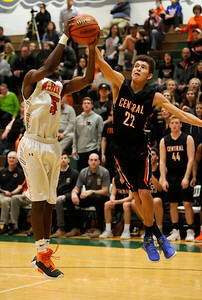 Gregory Shaver for Shaw Media Crystal Lake Central's Christian Lerum drives to the basket against MCHenery's Maki Mohr during the second quarter of a IHSA Class 4A boys basketball regional semifinal game Wednesday evening, Feb. 28, 2018, at Crystal Lake South High School . 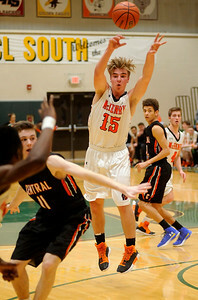 Gregory Shaver for Shaw Media Crystal Lake Central's Alex Timmerman drives to the basket during the third quarter of a IHSA Class 4A boys basketball regional semifinal game against MCHenery Wednesday evening, Feb. 28, 2018, at Crystal Lake South High School . 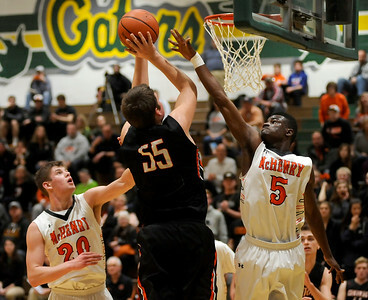 Gregory Shaver for Shaw Media Crystal Lake Central's Christian Lerum tries to drive the lane against MCHenery's Giovanni Calabrese during the third quarter of a IHSA Class 4A boys basketball regional semifinal game Wednesday evening, Feb. 28, 2018, at Crystal Lake South High School . Gregory Shaver for Shaw Media MCHenery's Maki Mohr batles with Crystal Lake Central's Deonta Dungey for control of a rebound during the third quarter of a IHSA Class 4A boys basketball regional semifinal game Wednesday evening, Feb. 28, 2018, at Crystal Lake South High School . 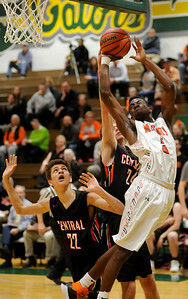 Gregory Shaver for Shaw Media Crystal Lake Central's Deonta Dungey drives to the basket against MCHenery's Maki Mohr during the fourth quarter of a IHSA Class 4A boys basketball regional semifinal game Wednesday evening, Feb. 28, 2018, at Crystal Lake South High School . 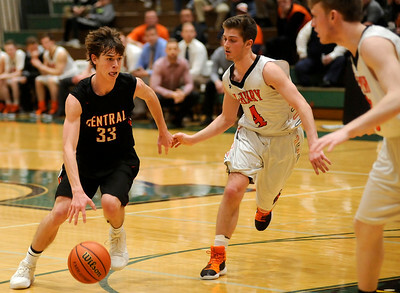 Gregory Shaver for Shaw Media Crystal Lake Central's Will Welder looks to pass the ball as he is defended by MCHenery's Gavine Charles Markgraff of a IHSA Class 4A boys basketball regional semifinal game Wednesday evening, Feb. 28, 2018, at Crystal Lake South High School . 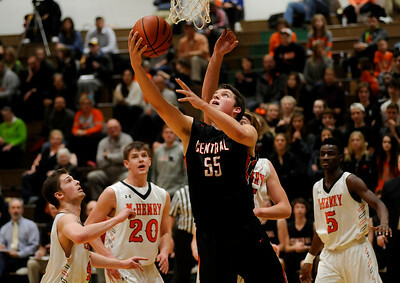 Gregory Shaver for Shaw Media MCHenery's Maki Mohr tries to block the shot of Crystal Lake Central's Alex Timmerman during the fourth quarter of a IHSA Class 4A boys basketball regional semifinal game Wednesday evening, Feb. 28, 2018, at Crystal Lake South High School . 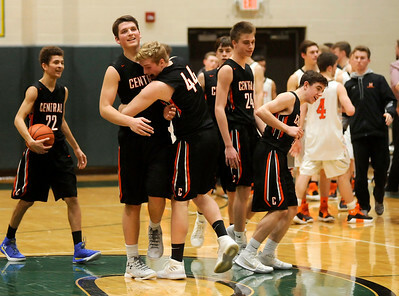 Gregory Shaver for Shaw Media Crystal Lake Central's Cade Keenan hugs Crystal Lake Alex Timmerman as they celebrate their IHSA Class 4A boys basketball regional semifinal game win over McHenry Wednesday evening, Feb. 28, 2018, at Crystal Lake South High School . 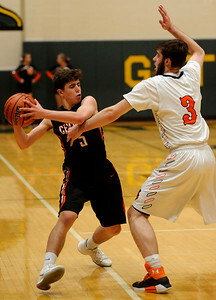 Crystal Lake Central's Christian Lerum tries to drive the lane against MCHenery's Giovanni Calabrese during the third quarter of a IHSA Class 4A boys basketball regional semifinal game Wednesday evening, Feb. 28, 2018, at Crystal Lake South High School .